TEASAS is a signatory to the European Corporate Just Culture Declaration supporting the reporting, analysis and follow-up of occurrences in civil aviation. 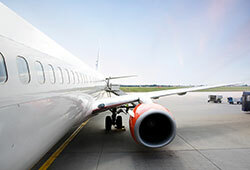 TEASAS provides training on EASA’s new UPRT requirements. 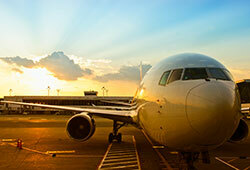 TEASAS supports Non-EU States in introducing, or aligning with European aviation regulations. TEASAS provides on-line courses, delivering world-class training at a time and location that best suits your business. 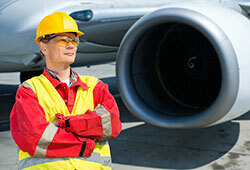 TEASAS specialists provide consultancy, support and training in all aspects of aviation safety and security. TEASAS takes a holistic “Total System Approach” to help you ensure that all risks to your safety and business performance are managed. TEASAS supports States and Approved Organisations in their pre-audit preparation for ICAO and National Aviation Authority Audits. Contact TEASAS for all your safety management solutions, from State Safety Plans to Safety Management Systems. 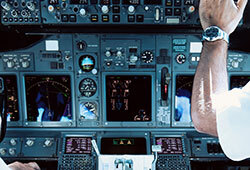 TEASAS provides expert consultancy and training services in, and across all domains of the aviation industry. We take a "Total System" approach to aviation safety management to help ensure that all safety risks are properly identified, and to enable organisations to work together effectively in mitigating risk and enhancing overall aviation safety performance. As well as working in the core aviation domains, TEASAS also provides clients with support in the associated economic and environmental regulatory topics. TEASAS specialists have the EU/EASA knowledge, experience and expertise to assist with the management of certification and approval projects, draft regulations for emerging technologies and new developments such as UAV/RPAS, represent organisations in rulemaking tasks, support businesses who seek EASA company approval, adapt the EU/EASA regulations to suit national systems for non-EU States, and to support non-EU Governments and NAAs in establishing bilaterals/BASAs with the EU and EASA. Whatever sector of civil aviation industry you operate in, TEASAS can provide you with the expert support to enhance safety performance and increase business efficiency. TEASAS experts can also assist in establishing at national level the Total Aviation System across all aviation domains and ensure regulatory compliance with ICAO SARPs. TEASAS is able to provide experts with experience of operating at all levels, liaising with Governments, (Regional) Aviation Safety Agencies, the Boards of multi-national and major national companies, as well as advising in the operational aviation environment and the EU/EASA regulations.